Living with sleep apnea shouldn't stop you from enjoying traveling. Or being able to get the breathing support you need to enjoy a restful night's sleep. Mini CPAP machines are compact enough to fit on a nightstand and don't require excessive maintenance to work at an optimal level. 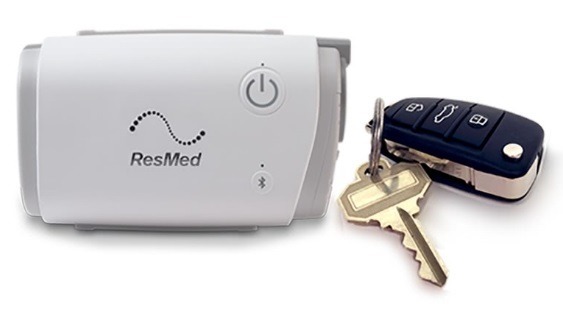 When you need a CPAP machine for vacation, or just in case you aren't at home, a mini CPAP machine is helpful. Before making a final decision on the right mini CPAP machine. You'll want to keep in mind the type of climate you will be in, and whether you'll need a device with a humidification feature. 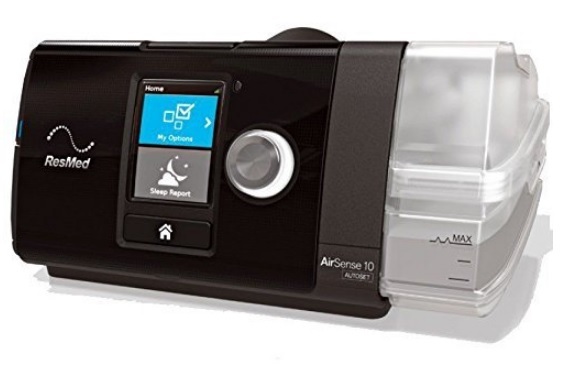 It is also essential to make sure that the mini CPAP machine chosen delivers the prescription amount of pressure to keep airways clearer, so you can breathe easier. Each machine made this list after reviewing unique features offered; warranty offers by manufacturers, customer reviews, and the amount of investment required. Sleep apnea affects an estimated 10 percent of the US population, so finding the right device to breathe easier is vital for health and happiness. When looking at these products, we weigh out the pros, cons, and give you a well-rounded overview so you can make the best final decision for yourself. This machine has a streamlined design that is considerably light. You'll find that the pressure adjusts automatically based on the breathing cycle, to optimize the amount of pressure needed. The AirSense 10 AutoSet makes sure that it's user-friendly and easy to read with its bright LCD. You can adjust and set the humidity level, mask fit, mask type, ramp time, and pressure relief. The AirSense 10 AutoSet uses an AutoSet algorithm and has the option of a ClimateLineAir Heated Tube. When a respiratory event occurs, pressure gradually increases until the event ends. This device offers the option of automatic pressure adjusts, or you can set it to a single pressure. When it comes to humidity level, you have nine different setting options at your disposal. The Climate LineAir Heated Tube takes the surrounding room's air temperature into consideration, before setting the appropriate humidity level, reducing condensation. This CPAP machine offers the convenience of Bluetooth wireless technology to keep track of therapy progress and make adjustments as needed. You can readily view the results of each session using the DreamMapper app on your smartphone or another mobile device. 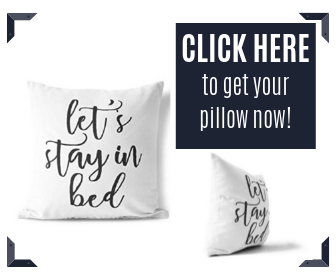 The menu is user-friendly and provides you with constant updates and alerts regarding sleep results, or things that need immediate attention. You can go to sleep more comfortably with the Ramp or SmartRamp features. You can choose between increasing pressure over time, or utilize the Auto-CPAP algorithm that adjusts pressure based on your breath. If you choose to use the optional humidifier, your machine will be kept safe from harm thanks to the included Dry Box technology. 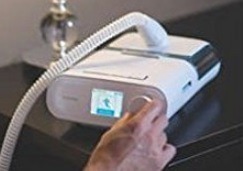 System One Resistance Control is another feature that helps this CPAP machine sense the mask and adjusts the pressure according to the mask type used. This CPAP machine won't break the bank, despite its quality features. Viewing data like usage hours, ramp settings, and setting the pressure level is easy with a backlit display. This device is for travel because it operates between 100 and 240V, provided the right adapter for the plug. If you want to reduce the oft chance of developing nasal irritation caused by cold or dry air, you can use the optional XT Heated Humidifier. The XT Heated Humidifier provides heated humidification during therapy, alleviating and reducing discomfort. The backlight display will always stay on during operation, and there is no setting to dim. A continuously illuminated screen may make getting restful sleep a bit difficult. Overall, it's budget-friendly and weighs less than 2 pounds. If you're looking for a device that is perfect for travel but still offers the same benefits, this device fits the bill. 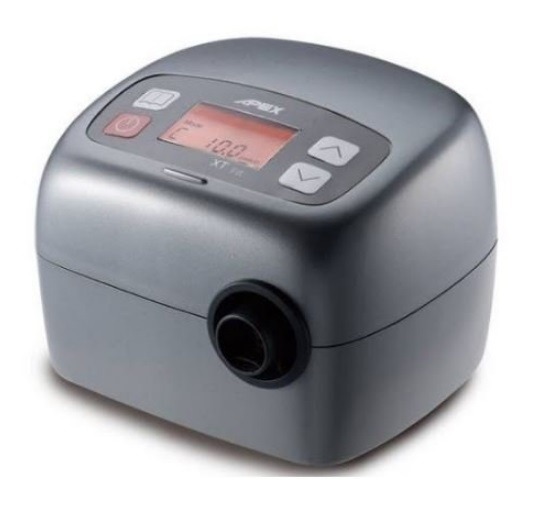 This mini CPAP machine weighs only 0.66 ouds and uses a 20w power supply. You can keep track of machine settings, make adjustments, and keep abreast of your therapy progress using the ResMed app for your smartphone. Depending on the mask that you feel comfortable using with the AirMIni, you can enjoy varying therapy benefits. Some masks allow you to utilize the HumidX for humidification, but not all. The data for your sleep therapy will keep you aware of how many hours you use your machine, your sleep score for 30 days, hourly events, and the leak rate. All the information and in-depth adjustments needed for your device take place with a Bluetooth connection using the AirMini App. 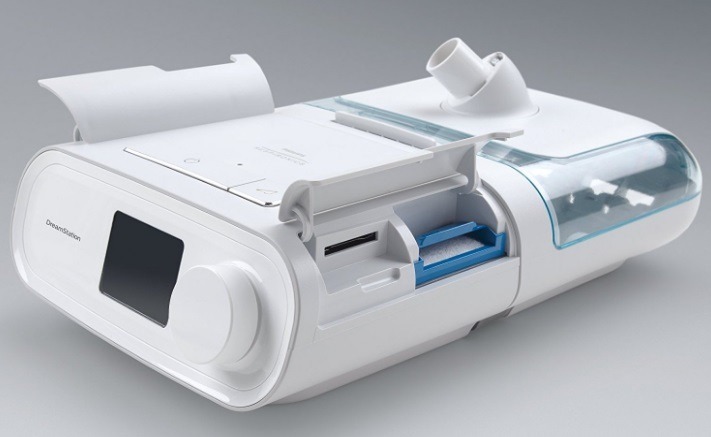 Just as with larger CPAP machines, the AirMini provides features like Auto Start, Pressure Relief, and Humidification. Be advised, the warranty period for the mask is not the same as the device itself. It may be in your best interest to do a trial run with masks that can be used with the AirMIni with a standard sized CPAP machine first, to make sure you will be comfortable and get the therapy you need. You might surprise with this device. It comes with auto-adjusting technology, capable of adjusting the output of air and pressure based on breath. This machine also utilizes a single pressure mode if needed. The included EZEX pressure relief function makes the pressure drop a bit when you exhale, so it is more comfortable. The EZEX pressure relief feature has four settings to ensure the right setting. This device fits and doesn't take up much space. It weighs less than one pound and has quiet operation to not disturb sleepers. The provided filter is easily removed at the push button and requires weekly maintenance. You'll enjoy a more comprehensive look at your therapy progress because the Transcend Auto Travel CPAP machine is capable of retaining over a year of data. You can review leak detection, minimum and maximum therapy pressure, and the number of therapy sessions conducted. 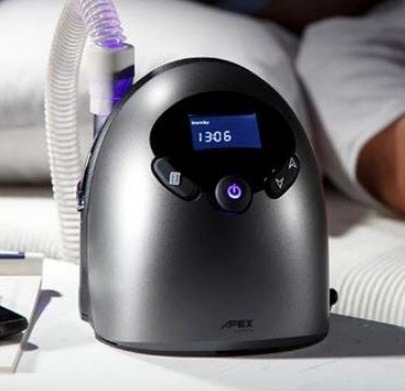 The Apex XT Auto CPAP machine is not only light, but it is small enough to fit in the palm of your hand. Despite its size, this mini CPAP machine still offers the same features found on larger devices. 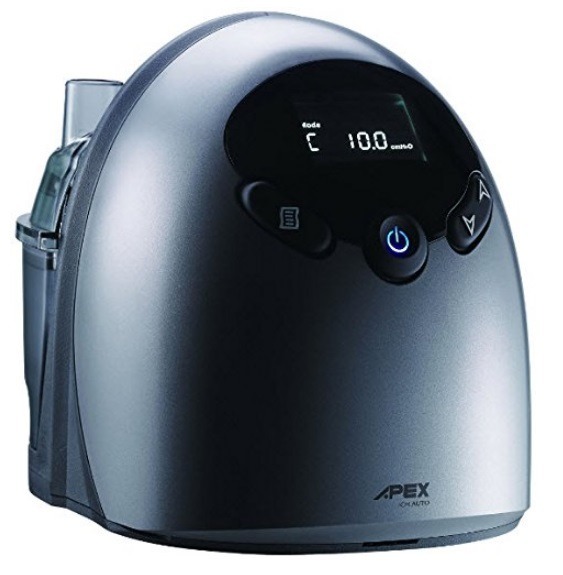 The Apex XT Auto CPAP also comes with a built-in power supply, has a clock with an alarm, and contains auto-adjusting technology. 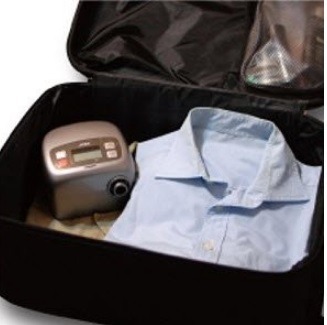 A travel bag is provided with this model for easy storage and carting the device around. This model offers convenience all around because it uses an adapter plug, and can fit into luggage without occupying too much space. Feedback data for therapy use of the Apex XT includes apnea index, snore index, and hypopnea index. The provided SD card should only be inserted into the device when you need to download your readouts. Additionally, you can add heated humidification to alleviate discomfort caused by dry air. 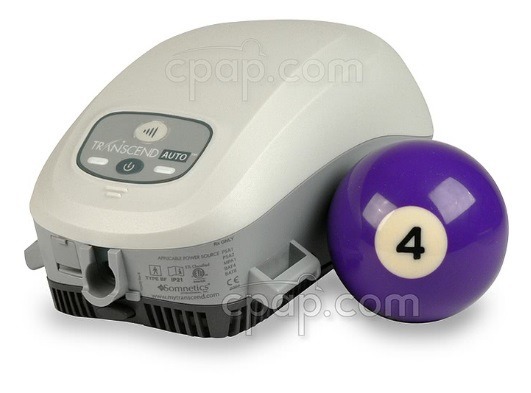 The Z1 CPAP machine is made for portability, weights a lightweight 10 ounces, and has quiet operation. This device can readily slip into a tote or luggage, so you can get the therapy you need when on the go. This machine provides sleepers with leak compensation, Z-Breathe Pressure relief, and automatically adjusts the pressure level for the altitude. The Z-Breathe can be set on multiple levels for gentle to more aggressive pressure. Making sure to keep pressure levels consistent is essential, so the word ‘Reminder" will display itself on the screen in bold letters until you correct the problem. You will appreciate being able to fall asleep with the device set at a lower pressure setting because this machine has a ramp feature. Also, when it comes to powering the Z1 CPAP, you might want to take advantage of the PowerShell. The PowerShell is unique because it allows you to keep your CPAP machine closer to you when in use, and holds the device and battery both. The device powers on with an AC power adapter and cord, or you can run the machine via battery power. 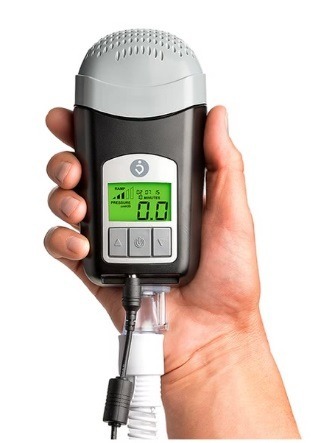 When purchasing a mini CPAP machine for travel, you'll want to choose the best device based on features offered, ease of use, and whether it can operate on battery power or requires plugging into an outlet solely. The quality for many portable CPAP machines is pretty amazing considering the size. Don't be fooled; you will still be able to reap the therapy benefits you seek for your sleep apnea with mini CPAP machines. Select features like AutoRamp, quiet operation and a warranty make investing in a travel-friendly CPAP machine a winning solution for dealing with sleep apnea. Most mini CPAP machines do not skip out on the necessary bells and whistles to provide you a more comfortable experience. Consider your needs carefully before making the final decision, and don’t make a living with sleep apnea an excuse not to enjoy traveling.